Hapag-Lloyd may not be a household name in cruising, but the line’s reputation in luxury circles is well established. The Hamburg, Germany-based company operates what some authorities rank as the world’s finest cruise ship: MS EUROPA 2. For the past six years, EUROPA 2 has garnered top marks (along with her predecessor, MS EUROPA) in the Berlitz Cruising and Cruise Ships guide. Culinary options and space-to-guest ratio are most frequently cited for the ship’s high rankings. EUROPA 2 features the largest amount of space per passenger than any other ship afloat. But, a combination of factors makes the 500-passenger ship so noteworthy. Debuting in 2013 and updated a few years later, EUROPA 2 is a contemporary and unstuffy ship. Her ambiance is akin to a luxury European boutique hotel. The ship’s reception area features floor-to-ceiling windows and a piano bar. Elsewhere, she features a sleek design accented with bright colors, creative lighting, Murano glass fixtures and polished marble surfaces. She’s also a veritable art museum at sea, with some 900 original works lining her walls. Hapag-Lloyd hoped to attract English-speaking passengers and families with EUROPA 2. Every cruise she sails is bilingual, as opposed to the more formal MS EUROPA. The clientele for EUROPA 2 is nonetheless international (primarily European) and upscale. The ship is a great match for sophisticated travelers who enjoy meeting and interacting with those from other countries. And, there’s no need to leave the creature comforts behind. Staterooms aboard EUROPA 2 are called suites and range in size from 376 ft to 1,227 square feet. All feature balconies. Most include tubs as well as showers, a rarity on most other lines. Other amenities include Nespresso machines, minibars that are restocked daily and 24-hour suite service. Butler service is available in the Penthouse, Grand Penthouse and Owner’s Suites categories. Seven cleverly-designed Family Apartments feature separate adult and kid’s areas connected by a door and a balcony. Gastronomic options aboard the ship draw consistently high reviews. Seven gourmet restaurants serve French, Asian, Italian and sushi, to name a few specialties. Six bars include the largest collection of gins at sea. Germans are known for their devotion to the curative powers of spas. The ship’s Ocean Spa serves as a European-style wellness center. Three types of saunas, an ice wall, whirlpool, workout area and private sun deck make it a destination unto itself. 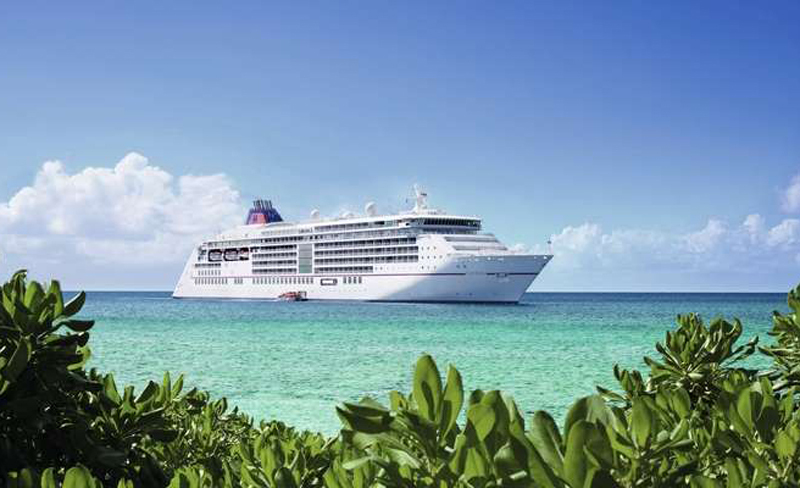 For the 2019 and 2020 season, EUROPA 2 will cruise to Japan, Africa, the Indian Ocean, Western and Northern Europe, Oceania, the Canary Islands, South America and the Caribbean.